Lila Ingram has the life that she's always wanted. Sophomore at NYU. Running a successful book blog. Getting to drink her favorite coffee everyday. But she's starting to get a little tired of it. Something good needs to happen. Something exciting. But she's too shy to socialize with others. Being an introvert can be very difficult when trying to make friends. 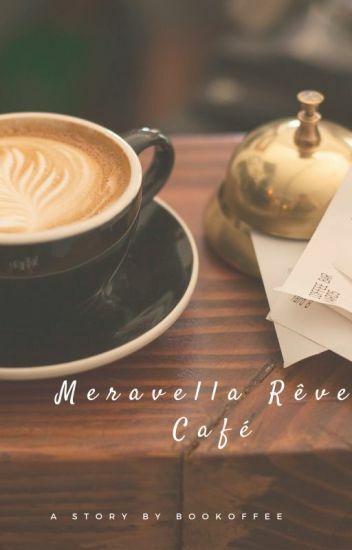 But at Meravella Rêve Café, she meets a new employee, Eddie Vilar. At first, Lila didn't know what to expect of him but there's something that makes her attracted to him somehow. Eddie's past had an effect on him since he was young. It's hard for him to open up with people and with the recent passing of his mom, it's been even more difficult for him to cope. As both of them become acquainted, they slowly become infatuated with each other. But would both of their pasts allow them to move on with their lives?